Getting unwanted or repeat wrong numbers on your cell phone can be very annoying, especially if you don't have unlimited minutes on your plan. This is a guide about blocking calls on a cell phone. Is there a way to block a caller on a cell phone? I tried calling my cell company and I can't seem to get an agent who speaks english! I've had this cell number for several years, but lately a girl keeps calling it asking for a guy we don't know. She calls several times a day. I ignore them, but she also leaves messages on the voicemail as well. If this girl has called more than two or three times, and you've explained to her that the person she asks for is not you, then her continuing to call is probably considered harassment. I would consider calling the police just to find out what your rights are. I'm sure they have had to deal with this before and may have some suggestions for you as to how to get her to stop. They may also have some suggestions as to how to get your cell company to be more cooperative in either blocking her calls or helping you report her number to the police. Explain to this person that she is calling a wrong number, and that you are bothered by her calls. If she continues to call, that is harassment, and you can get something done about it by calling the police and/or the cellphone company. Use words like "harassment" and "stalker" to get their attention. Record the number of calls per day and other facts, such as what you said when you talked to this person, so that you can prove that you have done your best to handle it on your own. I am having the same problem. I have had my cell for almost 2 yrs and within the last 3 months a certain number keeps calling. I ignored it thinking they would stop. Then I picked up and told them they have the wrong number now they seem to call more. I had been deleting all calls , text messages but my husband said to keep them and take the phone in person to my carrier and show them the obseen language they leave on text messaging which then the carrier will consider as harrasment & obseen and they will block them from calling. So that is what I am going to do very soon. Try going in person to your carrier and show them the calls to see if it works for them to block that incoming number. There is a way to block the calls if you have an AT&T Cingular type of account. They have something that is a parental control and it is an additional $4 or so per month, but oh so worth it. You require internet access but you can set blocked numbers that will not be able to be made or received. It is called smart limits. I suppose you could use it for what it is made for, your kids, but I use it myself. Other than that, there is no way to block calls from cell phones. 1-888-382-1222 You can call and register. This is supposed to be a do not call list for cell phones. Hope it helps. What I do is this: Save the number to the phone's memory, NOT the sim memory. Then change the ring for that particular number to silent. A few months back I was getting calls like the one you describe. When I called my cell phone company they suggested that I ignore the calls. Seems there is a prank where in a group of people get your number and call to "mess with you". When i quit answering unrecognized calls, they eventually quit. Guess they moved on to someone elses number. Best of luck and hope it quits soon. My husband bought another cell phone last week. It was relatively cheap and you pay for the minutes before you use them. Thus far he has gotten several calls from folks and companies we don't know. He decided to contact these numbers on our land line. How did they get this number, as I am the only one who has it? Is this a scam from the company we bought the phone from? As you know when you receive a call you are using your minutes. I registered this number on the "Do Not Call" government registry. By the way, on the mystery numbers, all I got was a voice mail box saying it was filled and to call again. Any thoughts out there? Never open any unwanted text messages or respond to them in any way. Either delete them or forward them to the FTC at spam@uce.gov. Good luck. Thanks, but this was not a text message. Someone called him when he was away from his phone and left a number to call. Since he did not know this number we checked it out on our home phone which has unlimited long distant calling. Funny these calls were from unlisted numbers, and where did they get his number? 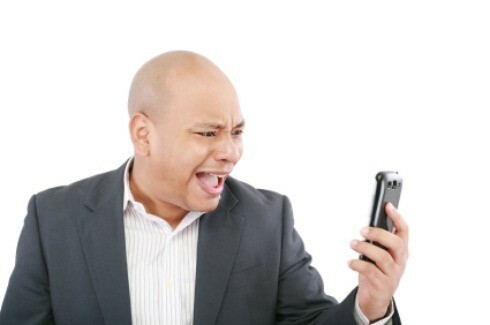 In any case when you get a new phone don't forget to put it on the do not call registry. Check to see if your phone can put the numbers on a reject list. Mine does. Recently I got calls from 3 different numbers I didn't recognize and they were not in my address book. When I didn't answer (before I put on reject list) they just hung up and did not leave a message in my mailbox. So now after putting them on the reject list the phone DOES NOT RING. By the way, prior to that I was getting text message from no one I knew so I called ATT and had them to block all texting. I do get text from ATT though confirming my payment and when checking my minutes, etc. This happened when we activated a Virgin Mobile phone for our "tweens" to use as an emergency phone. We got calls & text messages for other people. Apparently when you activate a phone & they assign you a phone #, it might be a # recently used by someone else & you could get calls aimed at the person who had that # before. You should be able to call the company & explain what is going on & they should refund you the $/minutes for those calls. If it keeps happening, ask them to assign you another #. Once, my 11yr old had the phone & got a call from a man who kept asking for some woman & became very irate & insistent when my son kept telling him there was nobody by that name there.Son hung up,but guy called back & said he knew my son was covering for her & put her on the phone! I called the # back & asked him what was up with scaring my son so bad & he was very upset & contrite- his ex wife gave him that # to reach her after she took $2500 from him & took off! He apologized to my son, but it didn't change the fact that he scared the daylights out of him! Go to this US 'National Do Not Call List' link and register the phone number (doesn't matter whether it's a landline or a cell). The phone number(s) that are registered are registered forever thereafter! When you don't want to be contacted by unfamilar phone numbers, you can research the number online before blocking it. 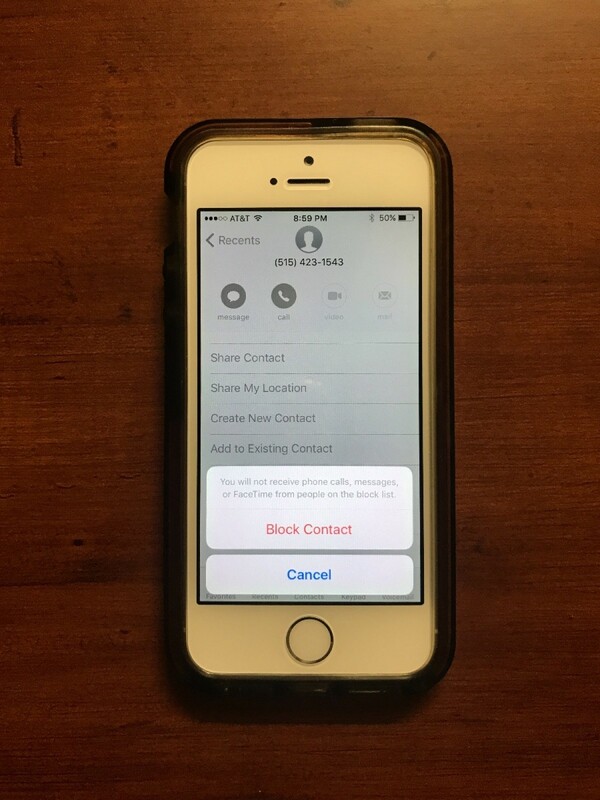 This is a guide about blocking unwanted calls on an iphone.